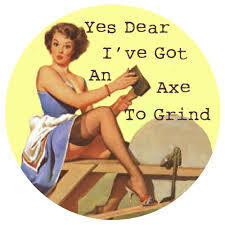 When I have an axe to grind, look out! Sometimes I see things in organisations that really get up my nose. Then I simply can’t help myself – I just have to write about it.